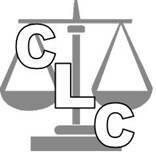 CLC is set up with aims of providing free legal advice, assistance, referral, andcrisis / short term counselling to the people of BAME groups. All our advice is completely independent and confidential. We will always give you a honest assessment of the merits of your case and what we think are the chances of success. Our clients are mostly individuals from overseas who are thinking of coming to visit, work or live in the UK, or who are already living in the UK. Whilst our solicitors are regulated with Solicitor Regulation Authority (SRA), CLC is also registered with the Office of the Immigration Service Commissioner (OISC) and authorised by the OISC to provide UK immigration, nationality and asylum law advice, information, advocacy and representation. The OISC is the government body that regulates all UK immigration advice services providers. Without our trained volunteer advisers we could not continue to meet the demands for advice. We offer a holistic generalist advice service and all advisers are given free formal and on the job training. Contact Email Addresses for Specific Legal queries.